We are very pleased to announce our latest Virtual Tour and Video project for The Champion Firm! The Champion Firm is a personal injury law firm in Atlanta, Georgia. Their offices are located inside the perimeter at the Paces Cumberland building. The goal was to provide potential clients multiple ways to easily find the office in a multi-floor building. The virtual tour begins in the lower parking lot, then into the first floor lobby, up to the second floor, and into The Champion Firm’s office. 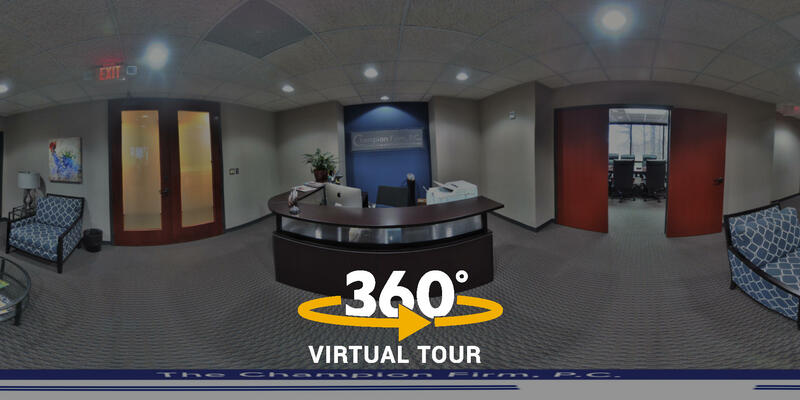 The Google My Business listing for The Champion Firm now has specific Indoor 360° and Outdoor 360° photo spheres displayed. 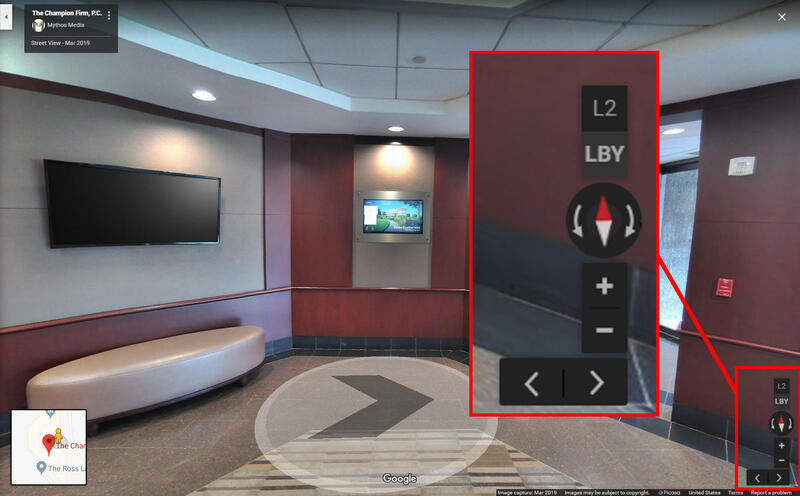 We have the ability to publish multi-level virtual tours on Google Street View. The multi-level feature is an amazing way to simulate tours inside buildings with multiple floors or group sections of the tour that visitors can immediately jump to. 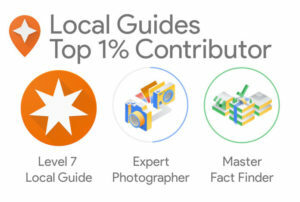 The levels can be tagged with custom names to fit every business location. The level buttons are located on the right side of the screen above the compass. A custom business logo for The Champion Firm was created and inserted into each indoor photo sphere for an official branded look. Visitor stats are automatically updated at the beginning of every month. Google allows business listings to include videos up to 30 seconds in length. Video is an incredibly useful but often overlooked feature that gives business owners more opportunities to engage with their potential clients and customers. The Champion Firm wanted to include a “walk-through” video to show potential clients how to find their offices. 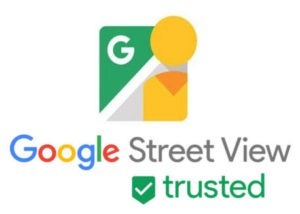 We recorded video content during the same on-site visit as the virtual tour photo session and edited the content to include text, a little background audio, and to ensure the video length was within Google’s guidelines. The finished video was then published on The Champion Firm’s Google Business listing.